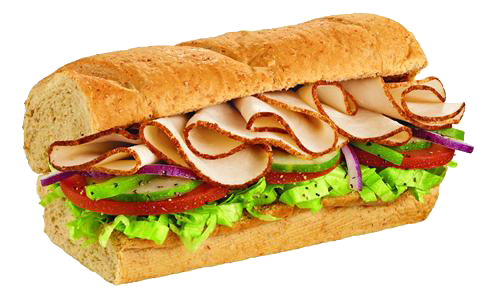 Subway Sandwich Franchises For Sale in the Berkshire County, Massachusetts region for $765,000! Pre-approved for SBA financing with an estimated $79,902 down! Five established franchise opportunities, currently grossing an estimated $1,948,630 and net $226,243. Managers in place in four locations with the fifth location being owner/operator. Great locations on busy thoroughfares and one is located within a large superstore. Includes all restaurant equipment with an estimated value of $60,000 – $150,000 each restaurant. Previous experience is needed when purchasing multiple stores. New owner will need to be approved by the franchisor. What is the current gross revenue for these restaurants? The current gross revenue being generated is estimated at $1,948,630. How do the restaurants profit? Can I finance these restaurants? Yes, this business has been pre-approved for SBA financing of up to $685,098 with an estimated $79,902 down (amount needed is variable depending on buyer’s liquidity and credit score). Buyer must also meet the minimum SBA requirements for lending to include: a minimum credit score of 680 and relevant experience in the restaurant industry, or some type of previous management experience from another industry. Seller financing may be available. View SBA loans or more Financing Options Here. Expenses will vary for each restaurant owner depending on the type of restaurant, number of employees, and location. Current expenses for this owner include: royalties, payroll, payroll taxes, workers compensation, advertising, supplies, food, utilities, property rental fees, permits and licenses, phone, and liability insurance. Expenses are estimated to be $1,722,387 per year. Are the restaurant properties owned or leased? Currently the owner leases the properties. New owner must be approved by the landlord. Note: New buyer will sign lease terms with the property owner. Where are the restaurants located? Located in the Berkshire County, Massachusetts region. Physical addresses will be released to qualified buyers upon execution of an NDA. Current list of equipment includes: back refrigerated counters, sandwich unit, microwaves (commercial grade), toaster oven, cooler, freezer, baking oven, proofer, bread trays, liners, veggies cutter, tomato cutter, thermometer, bread template, soda fountain, ice machine, POS system, camera security system and furniture. Estimated value is $60,000 – $150,000 each restaurant. What size are the restaurants and how many customers can they seat? These restaurants can seat between 6 and 40 inside. Do the restaurants currently have a beer or liquor license? Do the restaurants offer drive-thru or delivery service? Four locations offers delivery services and all five offer catering services. How long has the seller owned the restaurants? Seller has owned the restaurants for 5-11 years. These restaurants operate 7 days a week from 8am – 9pm. Established franchise opportunities. Turnkey and move in ready. Includes the cost of all equipment. Plenty of opportunity to increase revenue. Subway has a great reputation and brand recognition. Priced at $765,000. For additional information and to evaluate this business further Contact Us About This Restaurant Here!